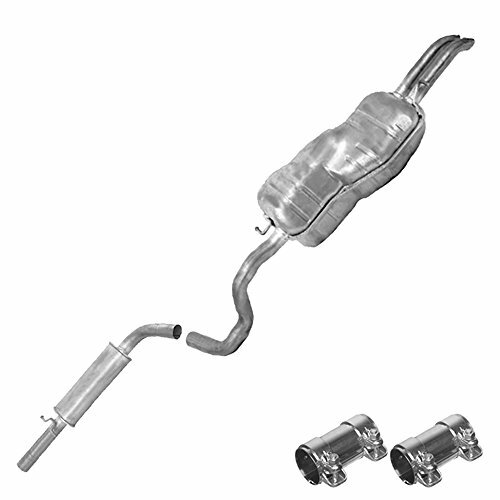 Grtsunsea 2 Set 2.5" 2.5 inch Electric Exhaust Valve Catback Downpipe System Remote Cutout E-cut Out Universal Car Vehicle Auto SUV Truck 64mm USCategory: Jetta Cat Back ExhaustThis Electric Exhaust Cutout System is specifically designed and made to enhance the performance, sound, and power of vehicles with the flip of the toggle switch. Instantly increases up to 20+ Horsepower. 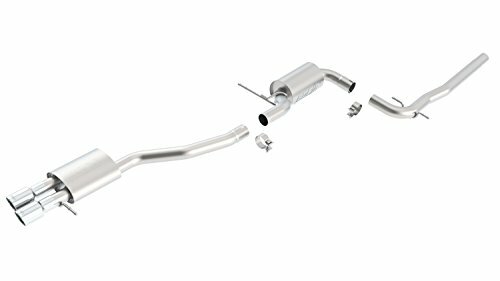 Designed to be conveniently welded onto anywhere from the cutout location from the header to the catback of vehicles. Electrical appliance allows opening the cutout simply by flipping the switch and exhaust will be opened for a more direct exhaust flow, more power and desired loud rumble of the exhaust.2 Set of 2.5" Electric Exhaust Valve Catback Downpipe Systems Kit Remote Intelligent E-CutSpecification:Color:sliverMajor Piping Diameter:2.5"（6.35cm)MORE DETAIL OF COMPONENTS SHOW AS PICWeight:3394g(3.349kg)Material: Pipings - High Quality T-304 Stainless SteelApplication: Universal Application Fits Most Vehicles with 2.5"Fitment: Design to fit 2.50" Piping (Outside Diameter)Placement on Vehicle: Front, RearPiping Info: Inlet/ Major Piping Diameters: 2.50"/ 2.50"Feature:1. 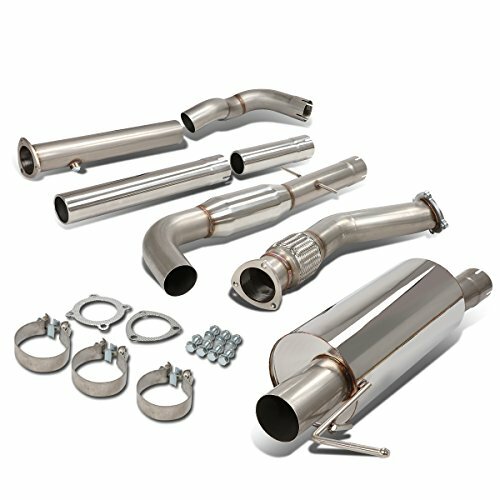 100% Brand new and high quality.2.Universal Fitment Applications to Cars with 2.5" inlet Exhaust Pipes.3.Pipeline - using high-quality T-304 stainless steel with a computer mandrel bend strength and durability4.Dyno Proven to Increase 10 -20 Horsepower Instantly5.High Performance Racing Spec. Perfect design6.High Torque Electric Gear Motor Specifically Manufactured to Withstand High Temperature and Vibration7.Simple Flip Switch Allows Controlled Exhaust Valve Outflow. 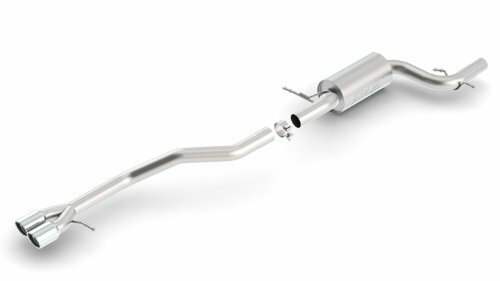 easy to Control the Exhaust Volume and Air Flow8.High-torque electric gear motor specially manufactured to withstand high temperatures, high vibration environment9.Increase Engine Output and Efficiency, as well as Maximizing High Exhaust Air Flow RateNote:1. (IMPORTANT) No Instructions Included.Professional Installation Is Highly Recommended!2. Please check the size measurement chart carefully before making payment.3. Please allow 0.5-1 inch difference due to manual measurement. (1 inch=2.54cm)4. 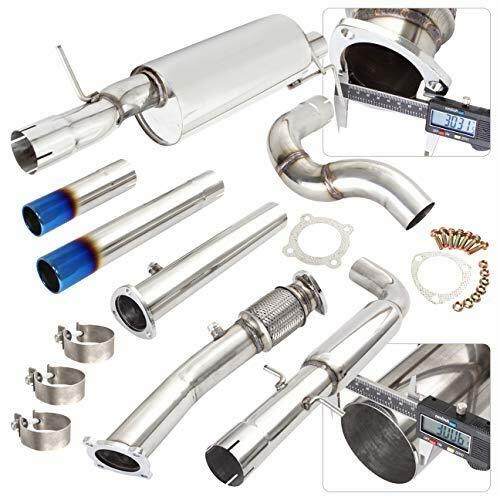 The color of the actual items may slightly different from the listing images due to different computer screen, thanks for your understanding.Package included:2 X Electric Exhaust Cut Out Kit with Gear Driven Motor2 X Stainless Steel 10" Y-pipe2 X 45-Degree Stainless Steel Elbow Dump Pipe2 X Remote Switch2 X 12ft Wiring Harness2 X Stainless Steel Flange Adaptor2 X Aluminum V-Band Clamp4 X Flange Gaskets2 X Set of 1.50" Bolts with Lock Washers and NutsHardware as Shown in the Picture BelowThis Electric Exhaust Cutout System is specifically designed and made to enhance the performance, sound, and power of vehicles with the flip of the toggle switch. Instantly increases up to 20+ Horsepower. Designed to be conveniently welded onto anywhere from the cutout location from the header to the catback of vehicles. 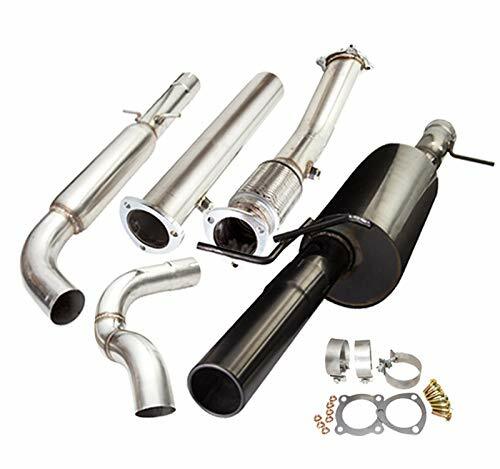 Electrical appliance allows opening the cutout simply by flipping the switch and exhaust will be opened for a more direct exhaust flow, more power and desired loud rumble of the exhaust. 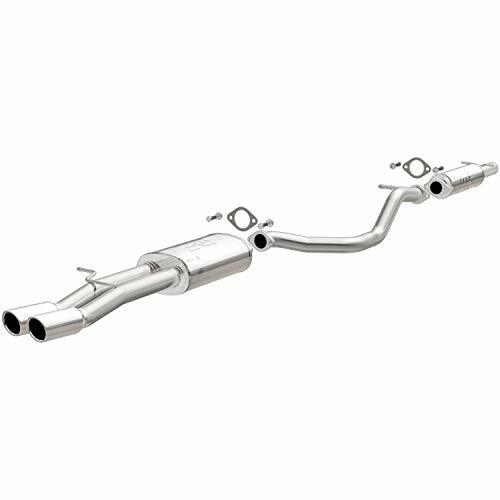 Auto Car Round Exhaust Muffler Tip Straight Pipe Fit Diameter 1.25" to 2"Category: Jetta Cat Back ExhaustAuto Car Round Exhaust Muffler Tip Straight Pipe Fit Diameter 1.25" to 2"Description:Features:Made of stainless steel, corrosion resistance and durability.You can adjust the diameter according to the screws.Since the exhaust pipes are sewage and waste, a long time, the exhaust pipe will be rusty, bare, exposed, it will affect the overall beauty of the car. 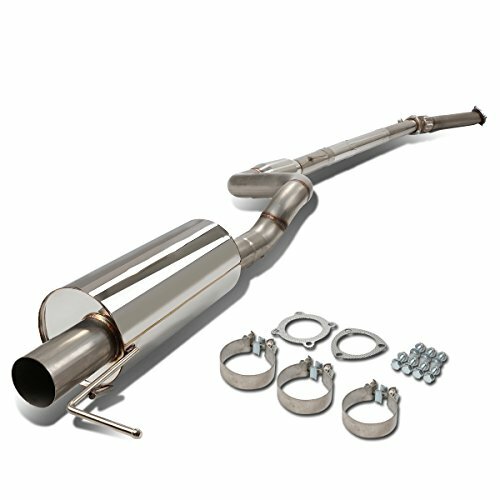 This tail pipe exhaust pipe to prevent deformation of rust, also play a supercharger and a spoiler role.This muffler tip can not only reduce exhaust noise, also can release the exhaust gas safely and effectively.Simple installation, no need of drilling or welding.Three screws Fit the Tip to your Pipe - Included.Fitment:Fits pipe diameter from 1.25 to 2 inch, pls confirm the size before you purchase.Installation Method:Easy installation, without any replacement parts.Simply choose good for car models of tail after the throat, using a wrench will end on the throat tighten screw loosening, then Tail throat set in proper position of the cars exhaust,tighten the screw can be good again, the whole process in less than 10 minutes.Note:Please make sure the shape of you Exhaust Pipe Tip, straight shape need to choose straight pipe and curved shape need to choose curved pipe.While assembling after the vehicles run for a first 500-1000 km, wind again closely for bolts and counter-loose nuts, any time be care for any loosing matters.Please confirm the size fits for your car before placing order.Package Included:1 x Exhaust Pipe TipSome Installing PartsFor CALIFORNIA residents only: WARNING: This product contains chemicals including DEHP, which is known to the State of California to cause cancer and birth defects or other reproductive harm.Please note that by posting this Proposition 65 warning, we are notifying you that one or more of the Proposition 65 listed chemicals may be present in a product. With Unique Bargains' products, the exposure to these chemicals may be of no significant risk to you, but out of caution, we have elected to place this warning on our site to make sure our customers are informed.You can find more information at http://www.oehha.ca.gov/proposition-65/about-proposition-65. EINCAR Car DVD GPS RADIO Player Window CE 6.0 OS for VW Volkswagen CC Jetta Passat Tiguan Polo Golf Skoda Color Black 7 Inch Free Map Navigation Mp3 Player Canbus SystemCategory: Jetta Cat Back ExhaustVisit EinCar Store to find popular EinCar products.EinCar, Expert In Car Electronics.EINCAR Car DVD GPS RADIO Player Window CE 6.0 OS for VW Volkswagen CC Jetta Passat Tiguan Polo Golf Skoda Color Black 7 Inch Free Map Navigation Mp3 Player Canbus SystemCan Bus Protocol Box for Steering Wheel control is included. A Controller Area Network (CAN bus) is a vehicle bus standard with a message-based protocol, designed for multiplex electrical wiring within automobiles. This head unit works for specific car models. So the Can bus box is a must for activating the function of steering wheel control. So now, you can easily adjust the volume, change, pause or play the music, all those operations are done on your steering wheel buttons'. You can just focus your minds on driving. Bonrich Car Antenna Base Vehicle Car AM/FM Radio Antenna Universal Replacement For Volkswagen Jetta Bora Designed To Fixed Your Car Roof Antenna Enhance The SignalCategory: Jetta Cat Back ExhaustDescriptionDesigned to fixed your car roof antenna, enhance the signal.Can also decorate your car, making your car cool and distinctive.Sucker type car antenna base, good grip on the car roof.Made of metal and plastic, lightweight, tough and durable.Convenient for installation, no drilling required.Fits for Volkswagen Jetta Bora etc.Specification:Color: black.Material: plastic, metal.Fitment: For Volkswagen Jetta Bora etc.Package Includes:1x car antenna base. Making a 2.5L Jetta Sound Like a 5.2L Lamborghini (Sort Of)! Borla Exhaust Modifications!